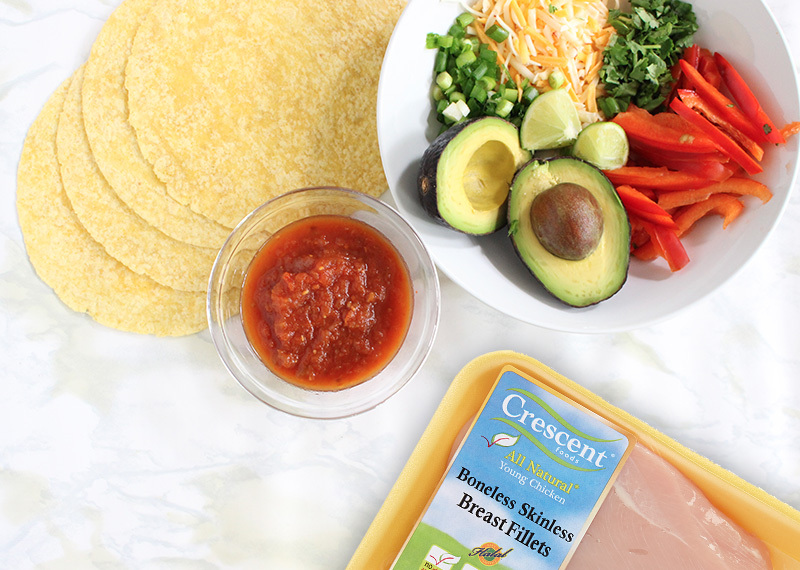 These Easy Tortilla Cups are quick and simple to make, easy to customize with your favorite ingredients, and totally delicious! 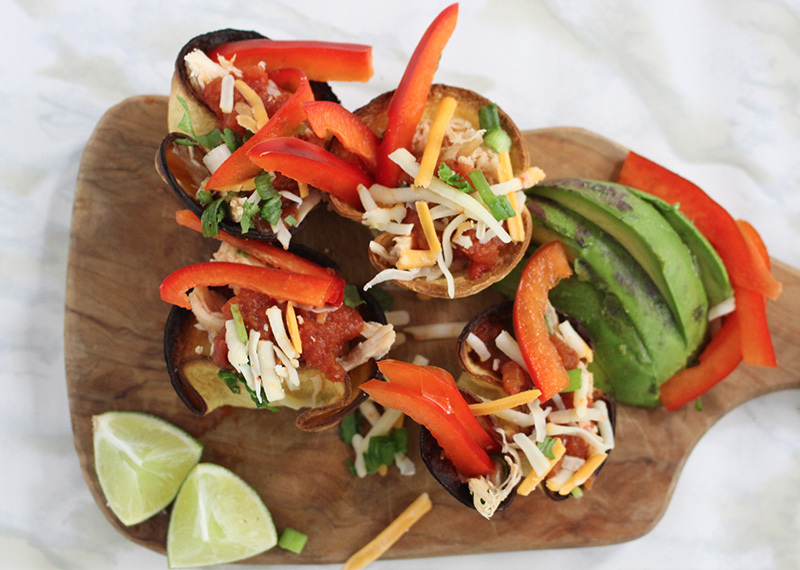 Healthy and delicious, be sure to give these a try! Cut the tortilla cups into small circle pieces. While the tortillas are baking, combine the enchilada sauce, green chiles, and cooked shredded chicken together in a large mixing bowl. Toss until the ingredients are evenly combined. Remove from the oven, and sprinkle the top of each cup with salsa, cilantro, green onions, red peppers, avocado and a squeeze of lime.